Microsoft planned Vista release in 2006?! How do you think: was MS really knew the year of Vista release? Microsoft planned Vista release in 2006 year? See copyright inform. on the picture. Is it a mistake of designer? Or Microsoft knew the year of Windows Vista release?! Last edited by Oleg-A on Mon Mar 12, 2007 4:20 pm, edited 2 times in total. But they wanted to release LH in 2003/4 not 2006. Perhaps that should be the date where the next version should be released. 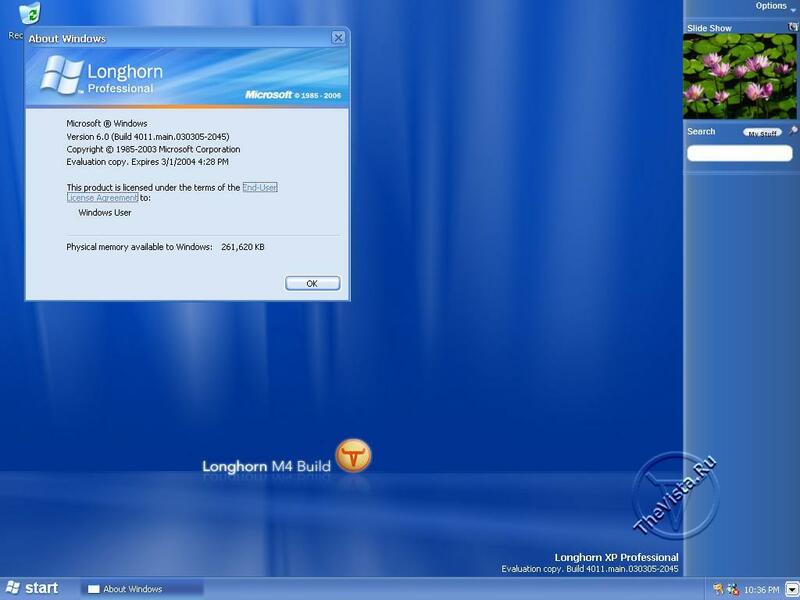 LH was planned to be an intermediate version to the next Windows. There are some applications which set the copyright year to the current year (Mac OS 7.6 does this IIRC). Could this be the case?